The United States Sports Academy mourns the loss of doctoral student Thad Akins, who was pursuing his Doctor of Education degree in sports management at the Academy. Akins passed away in a tragic automobile accident on 19 January 2017 at age 43. 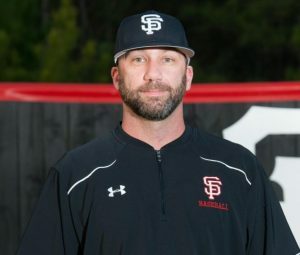 Akins was a teacher and head girls’ basketball coach at Spanish Fort High School in Spanish Fort, Ala. Akins also served as an assistant coach on the school’s baseball and freshman football teams. A You Caring online donation account has been set up in Akins’ memory. Proceeds from the account will support Akins’ two special needs children, who will face many challenges ahead. Akins’ son, Wilson Cole, lives with autism and his daughter, Avery Catherine, lives with Rett Syndrome.